Kings College Hospital RFC have chosen 'Youth at Risk' as their official charity in the 2012-2013 season. 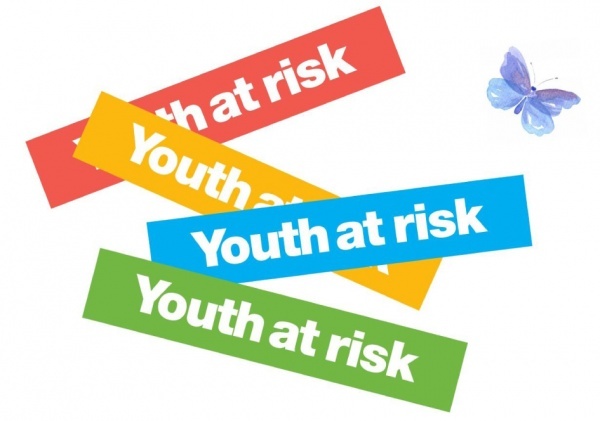 What do Youth at Risk do? Youth at Risk runs transformational personal and social development programmes for some of our most alienated and disaffected young people. We enable young people to develop a different view of themselves – and we help them to take control of and responsibility for their lives. We do this by building their self-esteem and self-confidence, helping them see how they can achieve their full potential. We work with communities all over the UK and provide young people with life coaches by our growing team of empathetic and inspirational volunteers. The young people on our community programmes are some of the most marginalised in the country. They have a chaotic way of life and have been victims of abuse, violence, neglect and/or extreme poverty. Many, lack any form of appropriate parenting and the majority are failing or have already failed at school. These young people are angry and aggressive and find it difficult to form worthwhile relationships. Their upbringing has often led them to criminal and anti-social behaviour, becoming a member of a gang, violent and abusive behaviour, or drug and alcohol problems. We have worked in underperforming schools and deprived estates. We have worked in divided communities (like Belfast and Kosovo) and Young Offender Institutions. We have worked with business leaders and entrepreneurs to transform the lives of the long-term unemployed, with the Birmingham Royal Ballet to transform the lives of young people in the inner cities and with Saracens Rugby Football Club to transform the lives of young people through sport. Our reputation is such that in the last year we provided coaching for young people on the Channel 4’s ‘Orchestra United’ and the BBC’s ‘Goldie's Band: By Royal Appointment’. Read on to see exactly how we work and help young people to turn their own lives around. ... the trainers started to help us have an understanding of why we felt the way we felt and that the way we was feeling was not our faults, it all started to make sense and ... even in the 4 days I felt like a whole weight had been lifted of my shoulders. I now have an (adult volunteer) coach who keeps in contact 3 times a week ... just to make sure I'm ... keeping on track ... And once a month we meet up for a follow up session with the other young people from our group ... just to keep us on form. I have built my relationship back up with my mum, she ... is so proud ... I'm more confident around new people ... I talk to people with a lot more respect and treat people how I want to be treated. I'm now [getting] an apprenticeship on an accountancy course... the trainer ... helped me with that by people that work in financial departments to come have chats to help me.